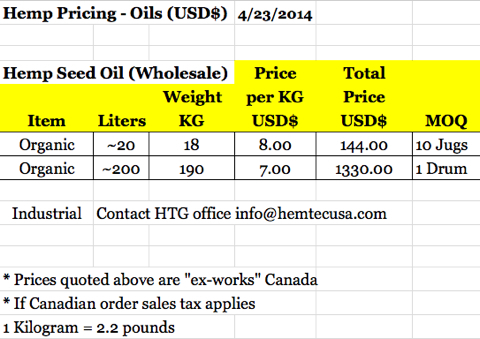 Hemp Seed Oil can be used as part of a nutritional programme to maintain and improve good health. 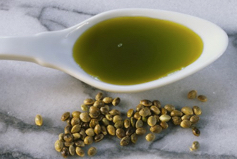 With a pleasant nutty flavour Hemp Seed Oil is ideal for use in salad dressings, mayonnaise, dips etc. Do not use for frying as this reduces the benefits. 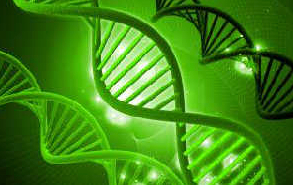 Hempseed and hempseed oil have been found to be a factor in DNA repair. 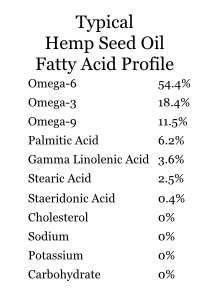 Hemp has the perfect 3:1 ratio of Omega fatty acids (Omega 3 and Omega 6) needed by the human body. One ‘job’ of Omega 3 is cellular repair. 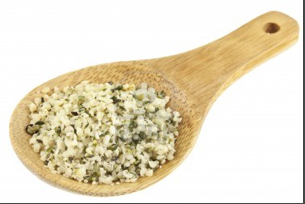 Hemp is 65% protein, 35% of which is globulin edestin protein. It is the protein that is closest to human globulin and is very easily digestible by the body. Because hemp is the highest source of Edestin protein, AND is responsible for boosting the immune system, it is a perfect addition to the diet. Hemp seeds are a perfect, natural balance of easily digested proteins, essential fats (Omega 3 + 6), Gamma Linolenic Acid (GLA), antioxidants, amino acids, fibre, iron, zinc, carotene, phospholipids, phytosterols, vitamin B1, vitamin B2, vitamin B6, vitamin D, vitamin E, chlorophyll, calcium, magnesium, sulfur, copper, potassium, phosphorus, and enzymes. ALL amino acids essential to optimum health are found in Hemp Seeds, and the 17+ grams of omega fats supplied by Hemp Seeds provides sufficient, continuous energy throughout the day. 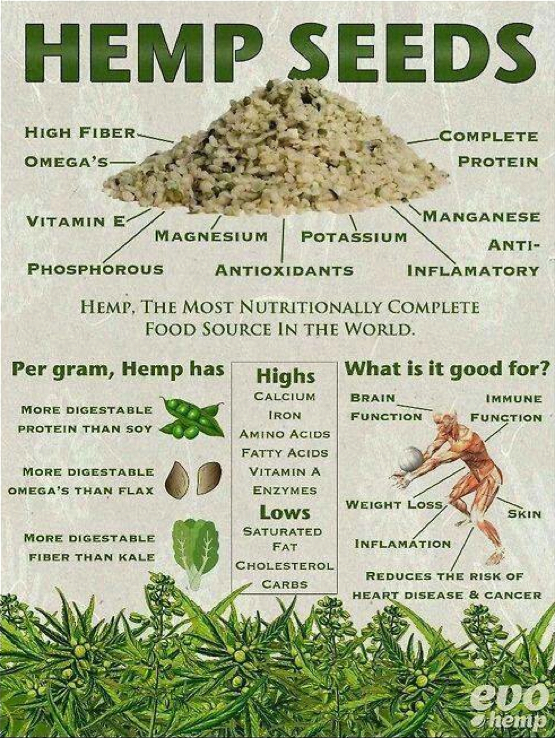 Hemp Seeds are approx. 1/3 oil and 1/4 protein. Hemp has had a long-standing relationship with humanity - modern science reveals that it contains all the essential amino acids and essential fatty acids necessary for human life, as well as a rare protein known as globule edestins that is very similar to the globulin found in human blood plasma. Much information about Hemp has been systematically removed from written texts since the 1930's and is now difficult to find. Many of the myths about hemp, perpetuated by governments to this day relating to hemp being a drug crop are incorrect and simply propaganda created to make way for synthetic, man made products.